I spent last few days attending SOLIDWORKS World 2019 in Dallas, TX. My timeline was very intense with many meetings, so it took me time to digest and come with some pictures comments about what I’ve seen and heard. The first day and keynote brought the biggest news about changes in Solidworiks brand. Solidworks is introducing 3DEXPERIENCE.works. Picture above suggests 3DEXPERIENCE.works will include multiple products for design, manufacturing, simulation and planning. Changes are hard, especially when it happens with such large and passionate community of Solidworks customers. I don’t have a dog in this fight – I’m sure it will take long time to make a change in people’s mind and habits. The announcement of 3DEXPERIENCE.Works and high level view on what is that made by Solidworks CEO, Gian Paolo Bassi including reminder and commitment for 2 products desktop and platform (pay attention that word “platform” is replacing word “cloud”). Dassault Systemes CEO and vice chairman Bernard Charles, brought a longer perspective on DS vision development from 3D design, 3D digital prototype, 3D PLM and 3D Experience. I’m not sure usage of “3D” word across all these years was the same, but have no doubt Dassault Systemes was vocal and persistent in their vision of 3D everywhere. 3DEXPERIENCE.Works is a not a single brand and developed now by global organization of multiple brands. Gian Paolo Bassi presented leaders of the brands. I hope your time at SWW2019 was successful. It is interesting, but no surprise, that Dassault is pushing the 3DEXPERIENCE platform, again this year. This year it is with a new brand 3DEXPERIENCE.WORKS. 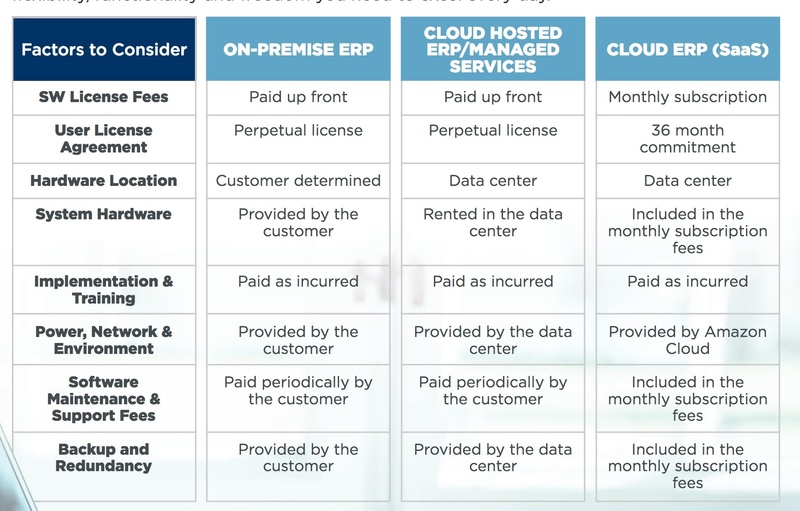 This appears to be the bundling of the cloud-based ERP system DS acquired earlier with the newer cloud-based designs. It provides a more complete “business” system to organizations. Is this enticing enough for small and medium business (that are young to CAD) to make the jump to combined IT vendor- Dassault Systems? Time will tell. Will it move those married to the desktop version of SW? My opinion, only if there is enough business reasons or business pain to do so. It’s the business reasons that DS needs to educate their customers about. The business pain can be applied at any time, by DS. At some point, DS is going to have say, “We can’t afford to continue to develop two different systems based on two different technologies.” I thought we heard Bernard say this back around 2009 when 3DEXP was fist introduced. Ryan, thanks for sharing your insight. Everything seems to be logical. DS is moving forward by bringing more cloud tools to Solidworks customer base. How fast desktop users will jump to the cloud is really good question. Until now, they’ve been very slow in jumping from desktop to the cloud. Btw, I’m not how does IQMS fit the boundary of SaaS solution. Even web site says it is cloud, you can see that you need to buy it for 36 (!!!) months contract. It is 3 years contract. Not sure in a modern world, it can be called SaaS. I’m very much interested to learn more. Will share more later. If Cloud based system is the only system in the future …… they need to make giant leaps in usability and stability. Right now Solidworks barely has the HP I need. Making it dependent on bandwidth is horrible Idea. Can I still work on a international flight, can I still work behind the Chinese firewall, Can I still work from a small town in Europe with government control internet that trickles through. Why have they change User experience that 6 million users have gotten used too to mush a brand new one, with a brand new work flow. Why did they hijack what was once the most useful 3 days of the year to make it a week long commercial for there cloud based solution that they don’t even seem to have a handle on given the odd names and redundancy? How many times was the answer in a usability session, “because that the way we do it in Solidworks” ………….. When DSS bought Solidworks the Lead balloon was floated about merging Catia and SWW into a family product it was demolished by users ….. each year they keep push pushing until this year the bomb was dropped. It seems odd to not appreciate and respect your customer base better. The is DSS system NEW COKE, or the Verizon only for new customer deal…. massive miss step and miss read. Yes they have a Kernel issue, Yes cloud based systems like Fusion360 and OnShape (basically a better version of Xdesign already) are nipping at it toes. But nipping ….. good god you have 6million users and at least 2million subscribers if not 3. If your going to go cloud based or common Kernel add least copy your own successful work flow and UI…. don’t stuff a new one down your users throats as they are likely to spit back up for a product that was wise enough too. For many users it not about Cloud it is about usability. First mistake is they did not copy the UI or Workflow. Second the cloud system is even in ballpark close to as robust or stable. Its like going back in time to Solidworks in 96. They need to quit laying this at the feet at Users and look in the Mirror. Then there is entire low bandwidth work issue. How do work when there is no bandwidth? I think, you’re right. However, DS position -we need to start. So, 10 years ago, DS first said “cloud”. Nobody said current version is going to die. So you still have current Solidworks with existing UI and Workflows. What’s wrong with that?